Keep track of your independent reading through your school's Beanstack site. Let's race to 3,000,000 minutes of reading by May 31, 2019. 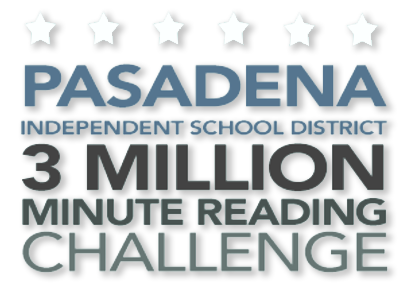 Beanstack is a web and mobile app tool to track independent reading and will help Pasadena Independent School District facilitate independent reading challenges. Reading may be logged at any time, in school or on the go. Simply record what's being read along with the time spent reading. Each reader is eligible to earn badges of recognition while building and growing the #pisdREADS culture of reading. PISD challenges students to read every single day! Every PISD elementary school is set up with its own unique and customizable Beanstack site. Students can log in via Clever at school or at home.